In the third Showmax Original, Skhumba visits the hometowns of some of our country’s finest stand-up comedians in a fun show that’s just as much about travel as it is about comedy. 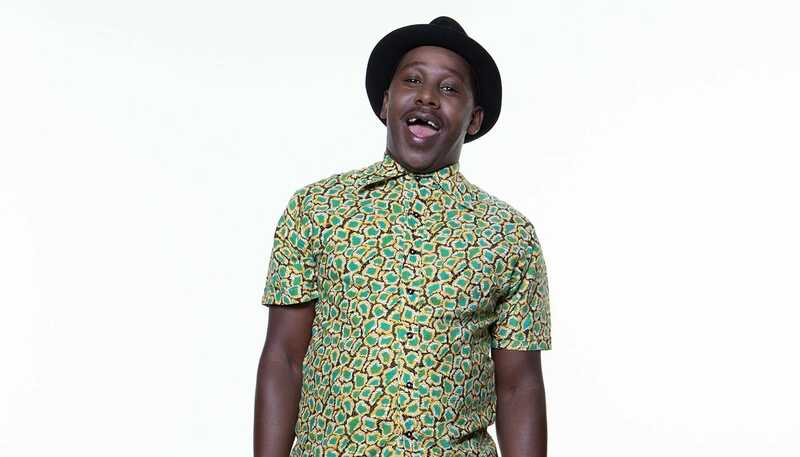 Siya Seya is one of his featured comedians, and here Siya lets us in on what we can expect from the episode that’s all about him and his hometown. Breaking into the stand-up scene wasn’t that easy for Siya Seya. He worked the scene for 10 years, and moved from the Eastern Cape to Jozi to find his audience. Thanks to established comedians like Skhumba, who took Siya under their wings, he has gone on to perform at huge events like Comedy Under The Sun by Mashabela, Mojokes by David Kau, and Blacks Only. How do you know Skhumba? As a comedian, when you’re coming from another province, you call every comedian; you inbox and you stalk every comedian. “Hey, I’m gonna be in Joburg, please hook me up with gigs.” And basically, Skhumba saved my life. In 2016, he took me in when I arrived in Joburg with no plan and one month’s rent and helped me find gigs. Why did you agree to the road trip? For the money! No, i’m kidding. I’ve been posting about my journey on Facebook and stuff, and now people will get to see who I really am and where I come from. For the people back home, when I come back with Skhumba, they’ll see [laughs]. You’re originally from PE, right? We’re going back to PE [for my leg of the road trip]. I was introduced to the comedy scene in PE, and that’s where I started out. We might do some comedy there, find a tavern and do some comedy. Some chesa nyama! Eat some meat and meet my mom. Is your mom going to cook? She’s ready! The moment I tell her, the food will be ready. Tell us about your brand of comedy; what makes you so recognisable? Well, I always have my hat [laughs]. I’ve always had my insecurities with my hair, so I’ve been hiding it. I’ve been hiding things! Besides the hat and stuff, the material I write resembles exactly what you’re going to see on Trippin With Skhumba. I talk about my life on stage, what I see and my experiences. Now it’s going to come alive. Do you do your gigs in English or Xhosa? I do both! I’m an Eastern Cape boy so I speak Xhosa, bring that local flavour.